Our trek began and ended in a small village. 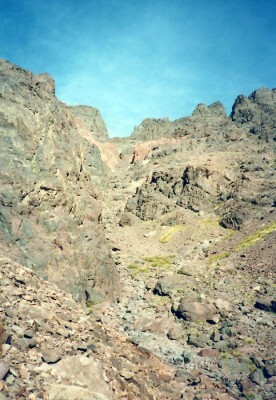 The Atlas Mountains are jagged and dry with small pockets of green where Berber villages cling in existence. The seven day trek would take us on a circular route up and down steep ridges thousands of feet up then descend the same distance down the other side into another valley. This became the routine, up and then down gaining and losing elevation. Our camps ranged from garbage littered trash piles to open ridge tops with amazing views. 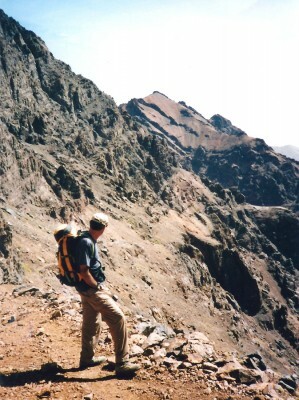 Our last camp allowed a day’s hike up to the summit of Jebel Toubkal, the highest peak in the Atlas Mountains. 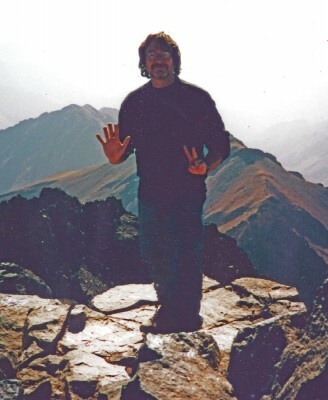 Ten years prior I had started with some grand ideas of climbing the highest peaks on each continent. As a result of many failures to summit I adjusted my goals and decided to trek and climb a peak on all seven continents, not necessarily the highest. That is what brought me to North Africa. 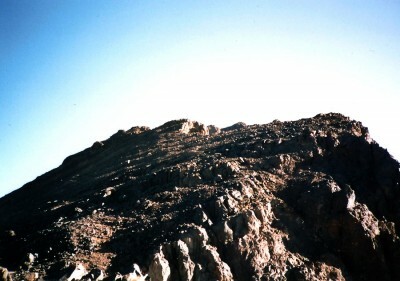 This tall pile of loose rock was to be my last summit, my seventh continent. We left in the cold morning before dawn and hours later I walked across the broad summit completing my goal. I shook hands with my good friends who had accompanied me; Tim, Frank and Suzanne. It wasn’t the grandest summit but it held all the emotional feelings as I stood looking out over the barren landscape to the Sahara beyond. After a week we were back where we started. I turned around and looked towards the Atlas Mountains, their pointed ridges layered in dark silhouette. The evening clouds settled down into the valleys, a white softness flowing like water between rock towers.